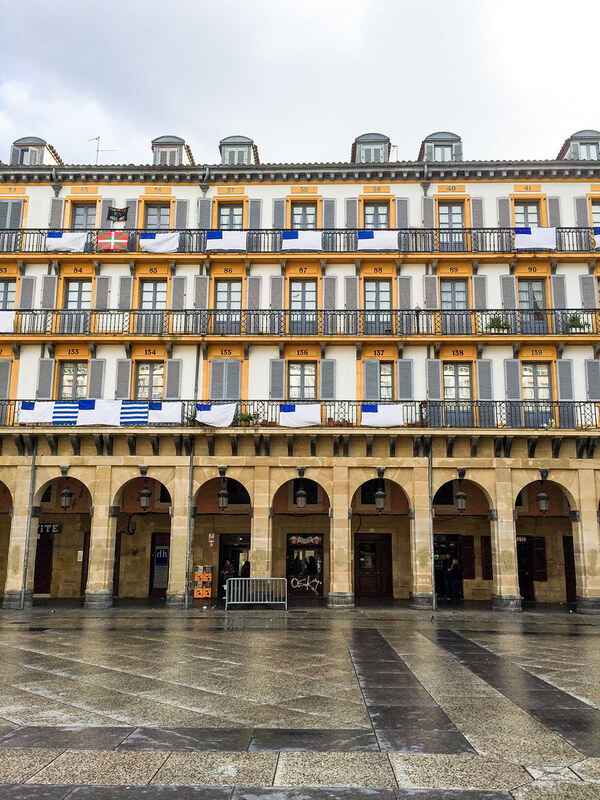 Spain is well known for its wild-and-wooly cultural festivals – from the tomato-throwing La Tomatina in Valencia to the bull-running Fiesta de San Fermin in Pamplona (also Basque Country). 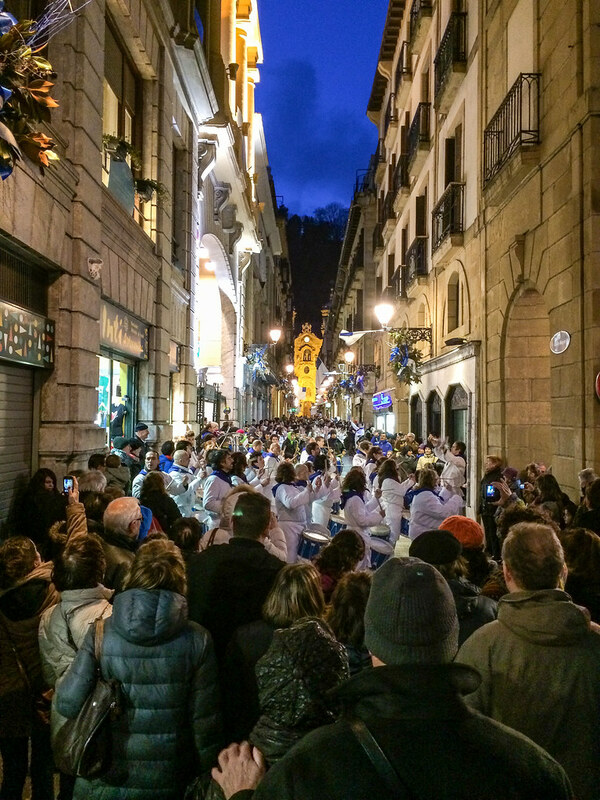 In San Sebastian, it’s the drum-banging of the Feast of San Sebastian, also known as the Tamborrada. Every January 20th at midnight, the city flag is hoisted above Constitución Square in the Parte Vieja where thousands of revelers gather to begin the city’s most important festival. 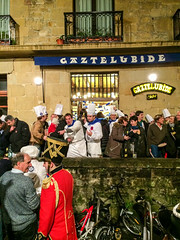 Members of the Gaztelubide Gastronomic Society (one of the oldest txokos in San Sebastian) begin beating drums to initiate the March of San Sebastian. 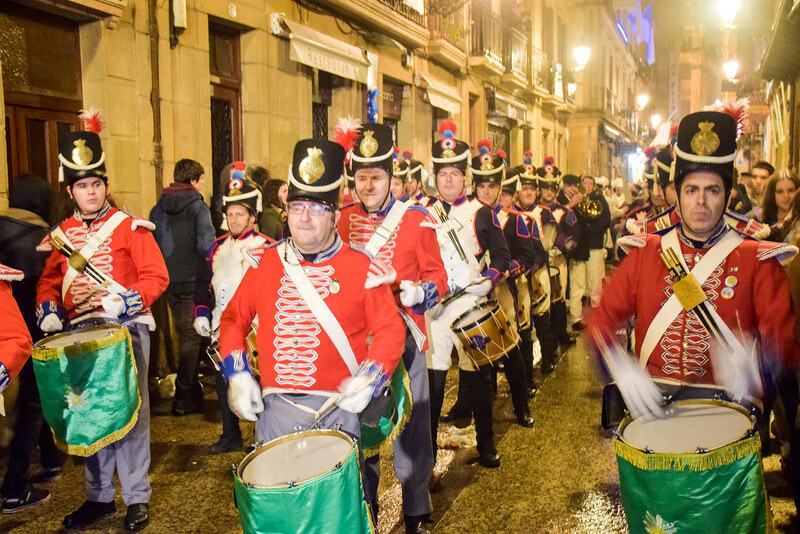 For the next 24 hours the streets of the city, and especially the Parte Vieja, are filled with non-stop drumming, drinking, eating and celebration. The txokos lead the way. 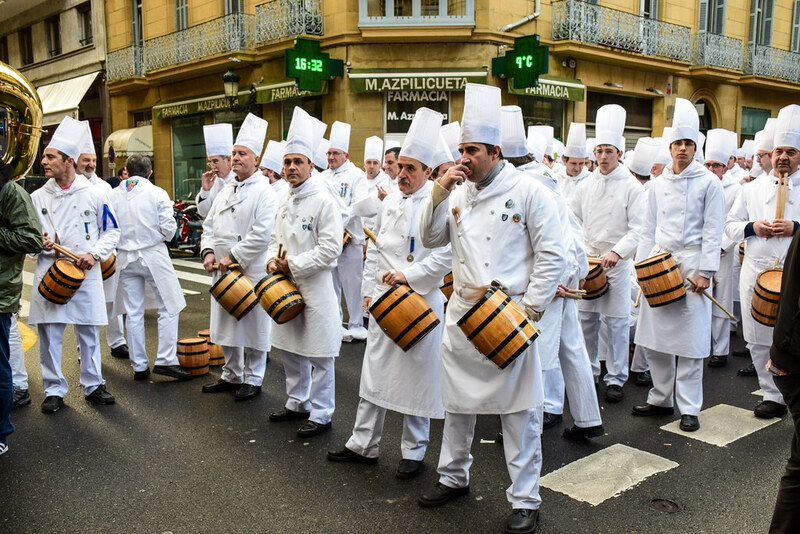 Members from all 120 or so txokos create drum lines that march through the city, dressed either as cooks wearing chef’s whites and toques or soldiers in traditional military uniform. 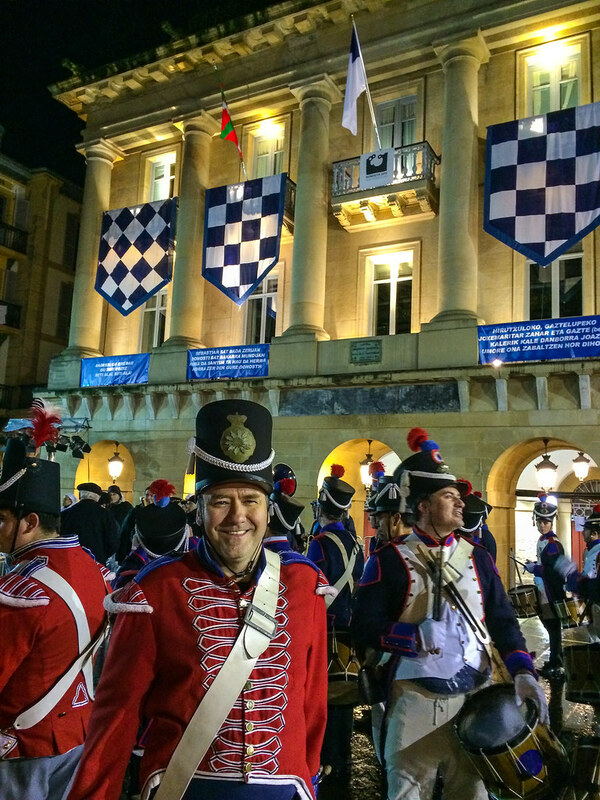 That the main festival of San Sebastian features half the participants dressed as soldiers and the other half dressed as cooks says a lot about the culture here. 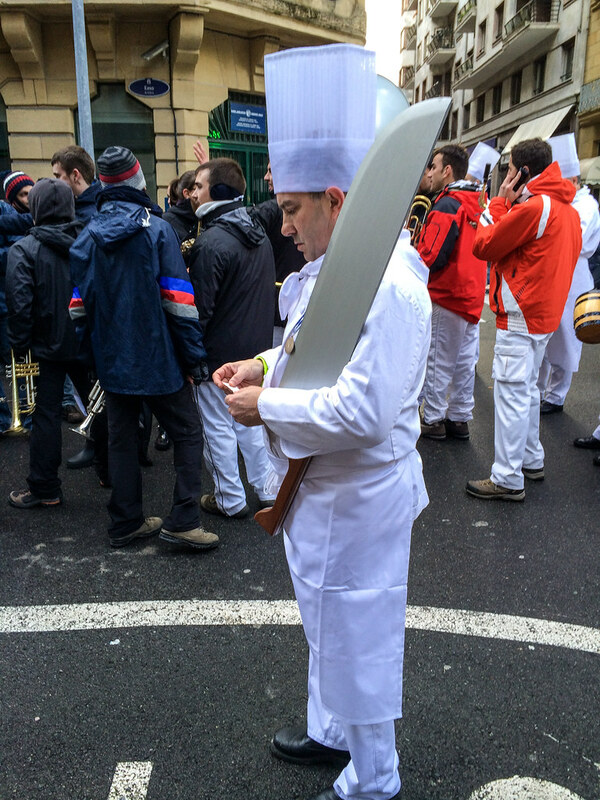 Drum leaders forgo the traditional baton and lead the processions with giant forks, spoons or knives. 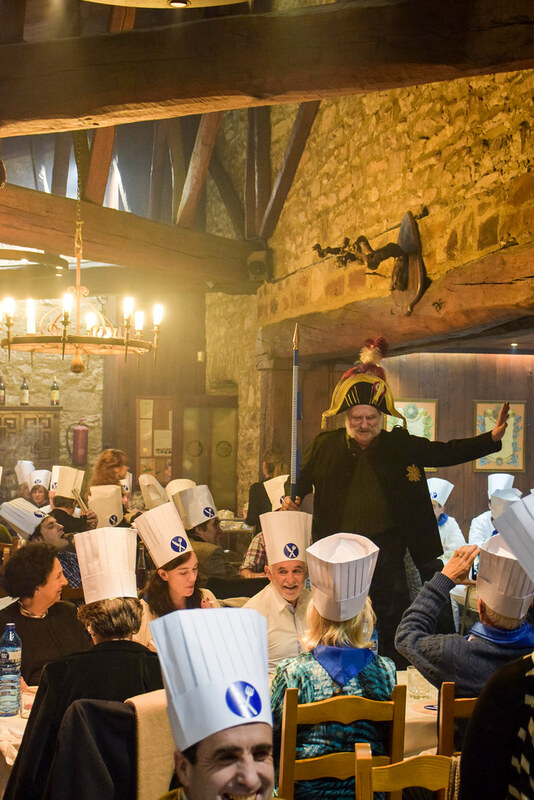 Those participants dressed as soldiers make use of traditional snare drums; the cooks in the procession bang on barrels reminiscent of the drumming associated with cider making. Each of the txokos’ drum teams is scheduled to depart for their march through the city at specific times of the day. 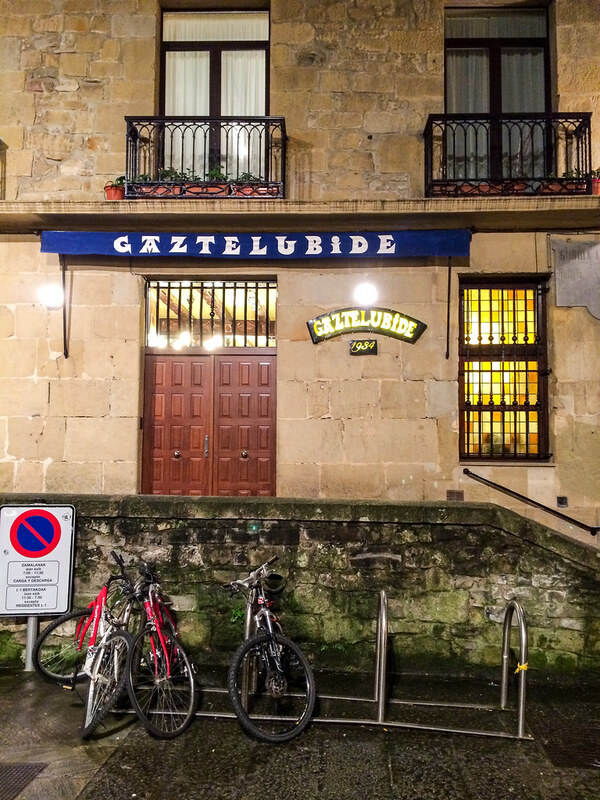 Gaztelubide is the first to start at midnight. The Cofradía Vasca de Gastronomía team heads out at 5:15AM. 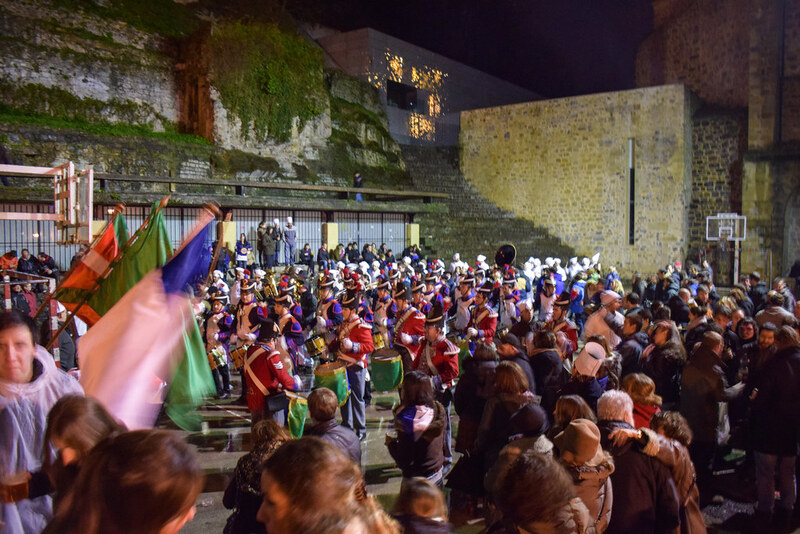 The teams then crisscross the city for the next few hours, pounding away at the drums every step of the way. 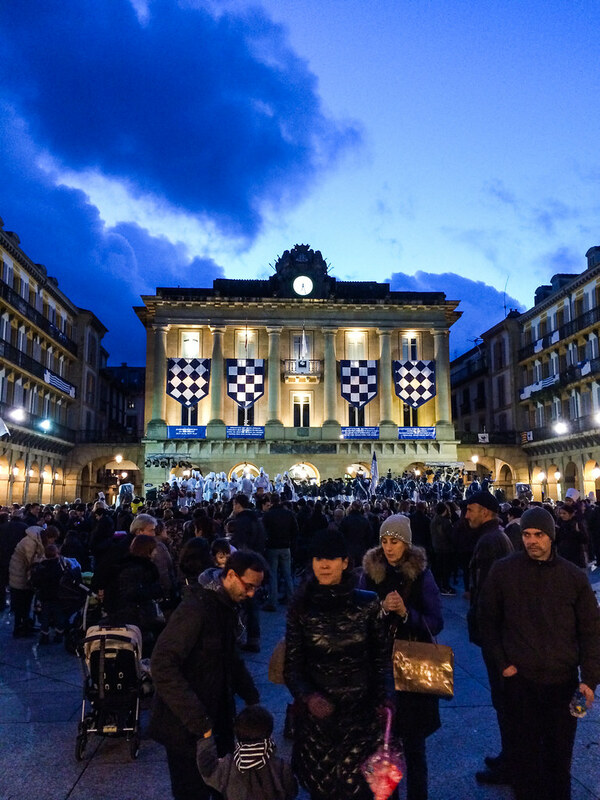 The streets are filled with revelers who follow the teams, all the while dancing, singing and drinking. Occasionally, teams will cross paths at an intersection, and the drum majors will negotiate the sequence of which teams go through first. 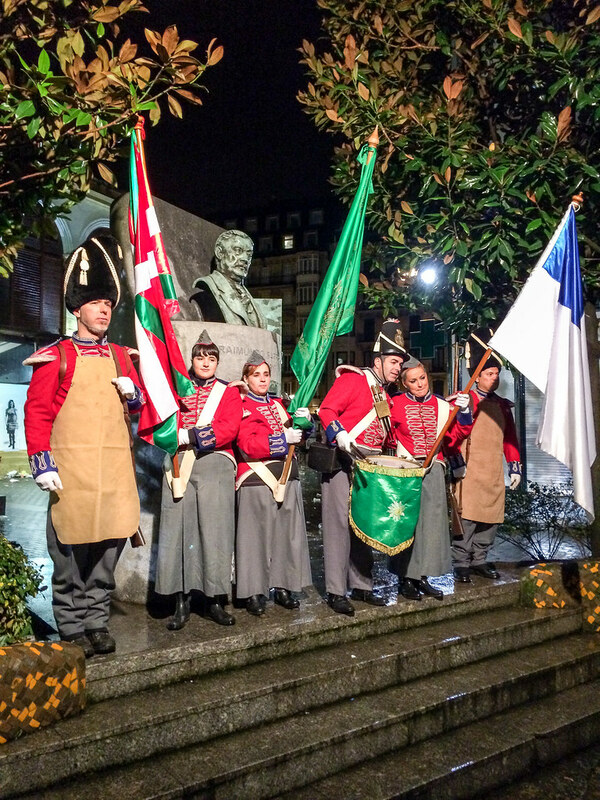 The path taken by the drum teams is related to the history of the city as well as the specific history of that txoko. 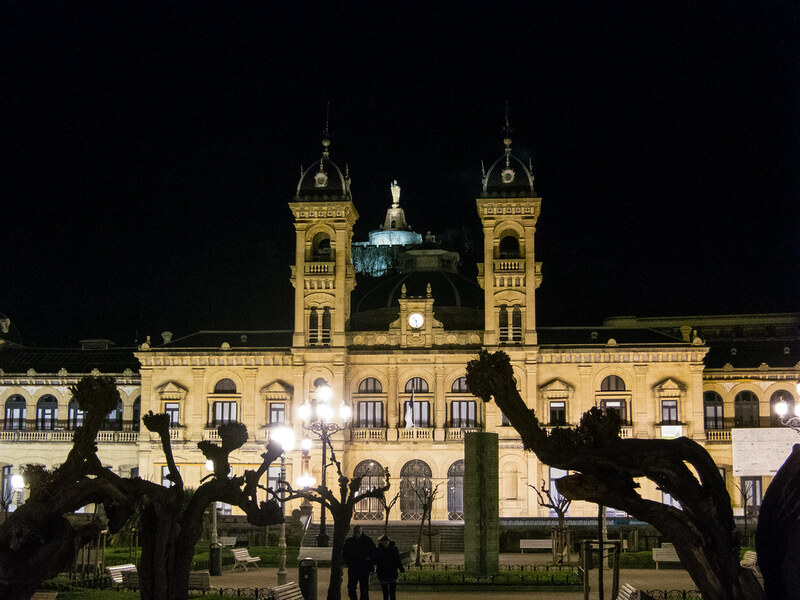 All teams will pass through Constitución Square and other historically significant locations. Teams will then visit other txokos with which they have a traditional relationship. 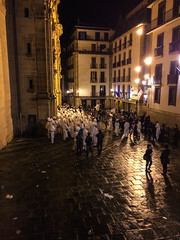 They will also march to various bars and restaurants that have a connection to that txoko. 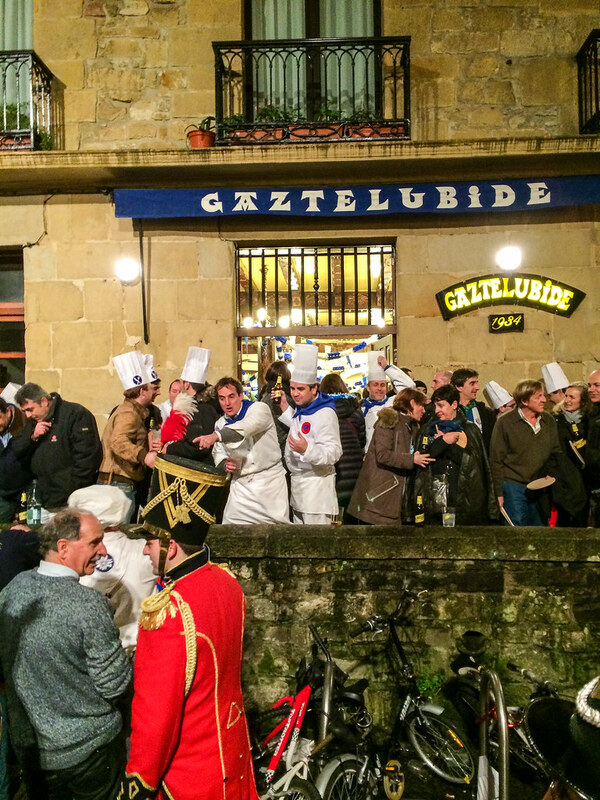 At every stop, a bottle of champagne is passed around to the marchers. 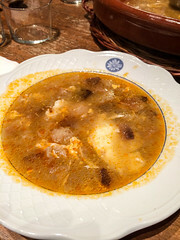 Upon completion of the circuit, the marchers trudge back to the txokos’ headquarters to turn in their drums and uniforms and warm up with a bowl of soup. 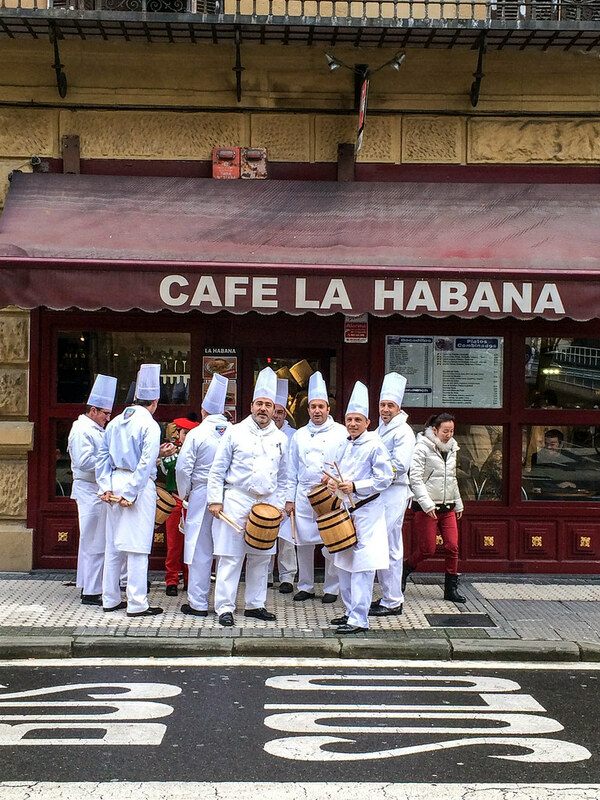 Then, the morning after the festival begins marks the Tamborrada Infantil, or the children’s Tamborrada. 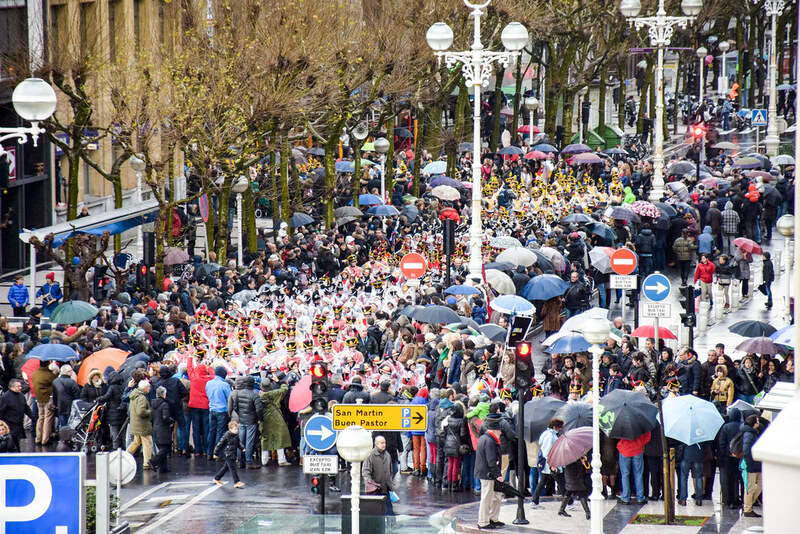 Like their adult counterparts, thousands of children don soldier’s uniforms and chef’s whites to participate in their own march through the city. 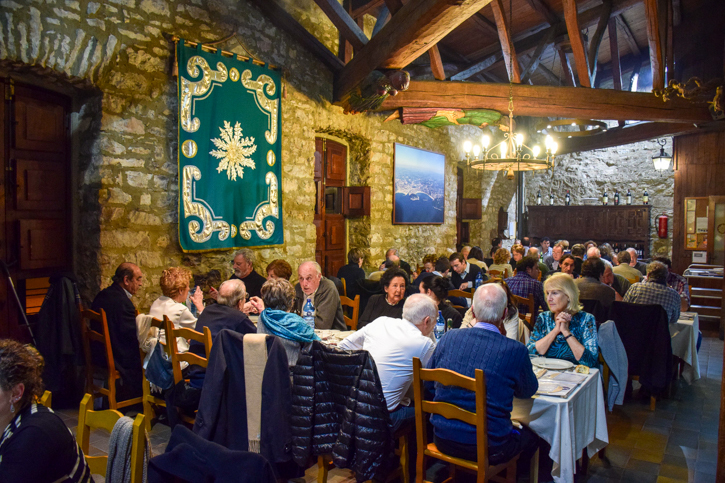 This ensures that the next generation is included in the traditions of the city, including the gastronomical societies. Like so many cultural festivals around the world, the founding myth incorporates many traditions that have been added over the years. 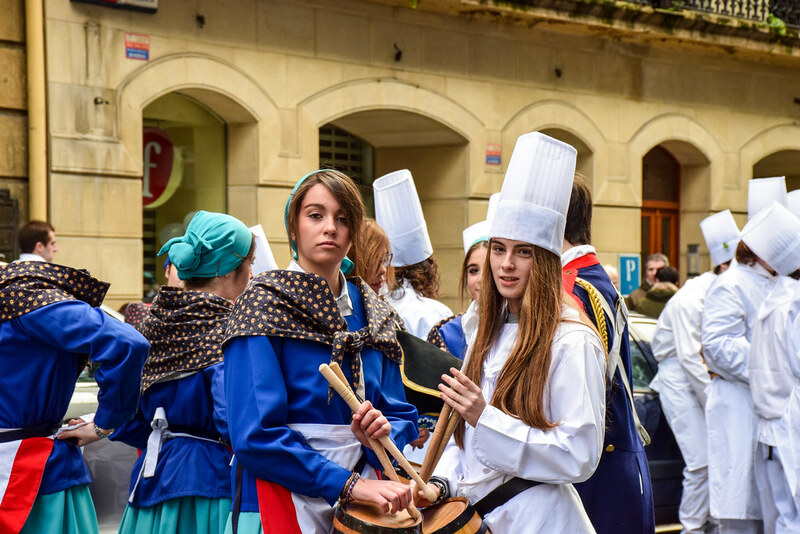 There’s a polyglot feel to the Feast of San Sebastian that combines playfulness with a sense of history. 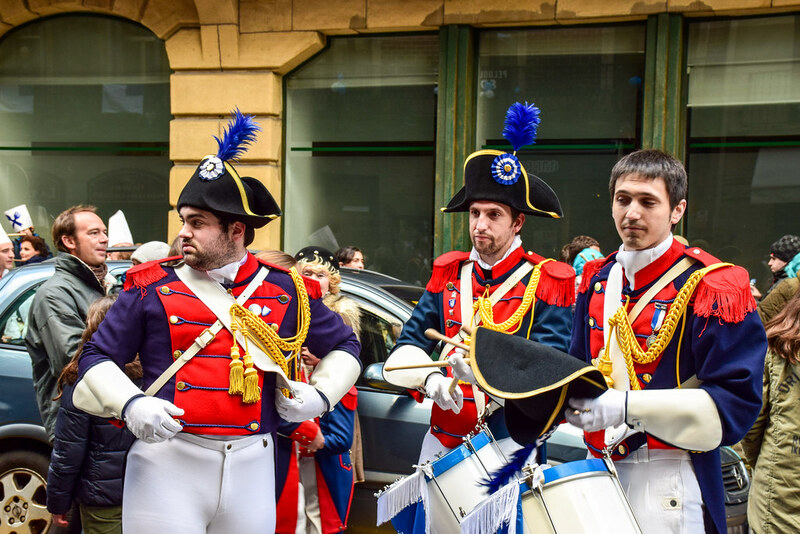 The inclusion of soldiers is said to go back to the 18th century occupation of the city by French forces. Years later, as the txokos gained cultural influence, they added the gastronomic aspect to it. 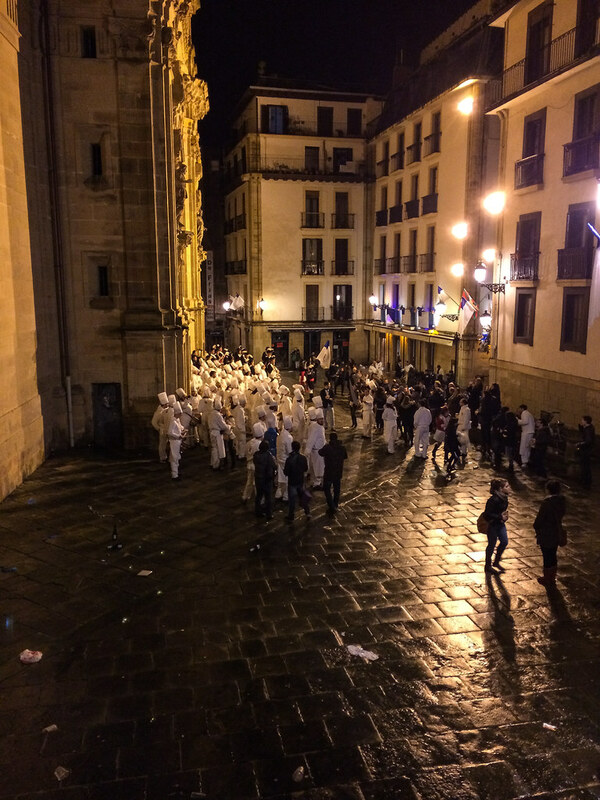 And of course the patron saint of the city, San Sebastian, provides a typically Catholic flavor to the proceedings. 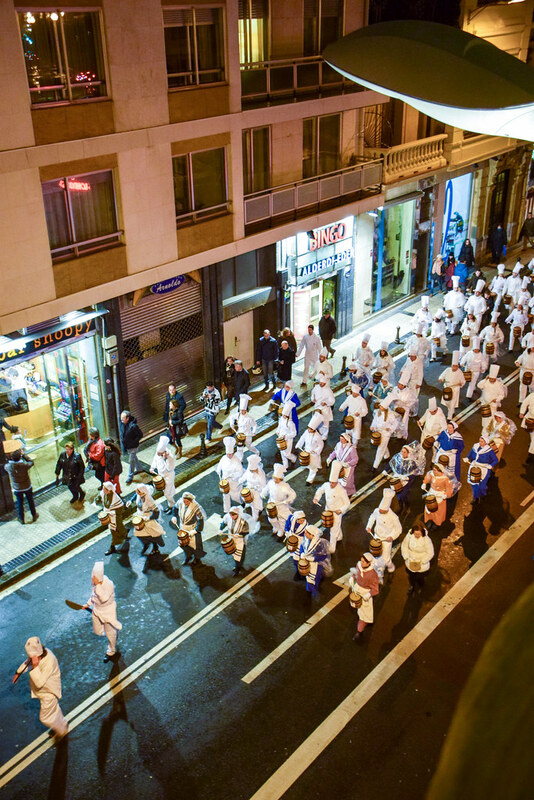 The Tamborrada runs for exactly 24 hours, when at midnight the following day the oldest txoko in San Sebastian, the Unión Artesana, lower the city flag to close the festivities. 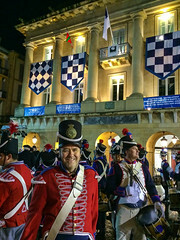 Then after a few days of recovery, the normal rhythms of San Sebastian return, and the bars fill up, and the pintxos return in force, and the Txacoli is poured from on high.